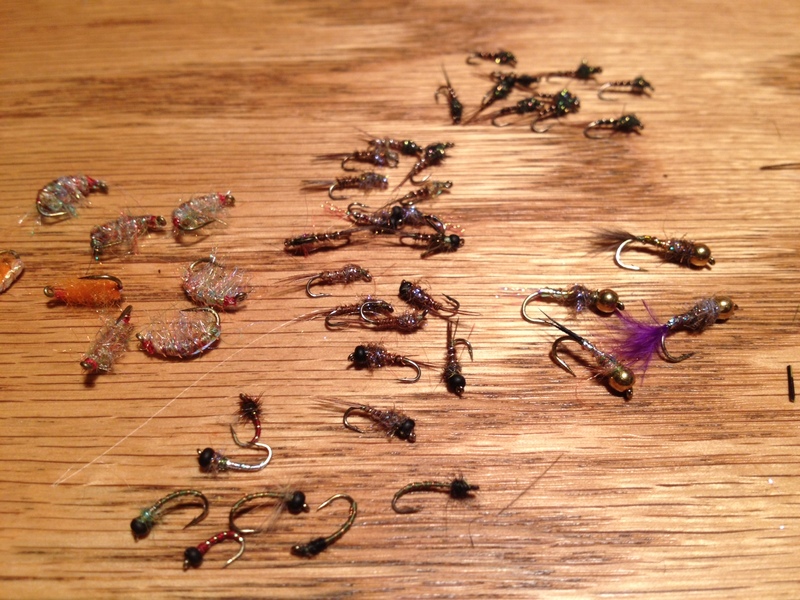 There was a fair amount of time spent tying flies today between bouts of staring out the window, wondering why I didn’t go fishing as soon as the kids were off to school. 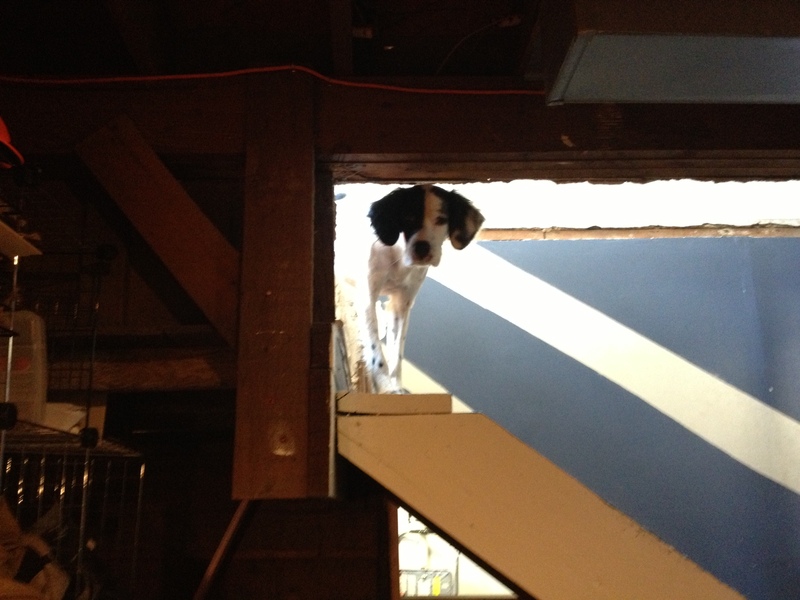 Lenny thought it curious, too. He spent a lot of time watching me tie flies and wondering why we haven’t hunted birds in 2 whole weeks! He’s going to have a long winter. 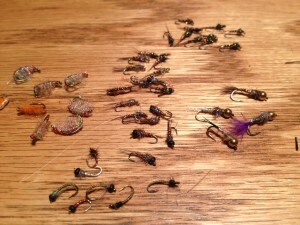 Instead, I continued working at my goal of all-new flies for 2013 and starting with a fresh stockpile. I’m at 4 dozen so far, which isn’t much considering my poor production-fly-tying skills…but I’m working on it. Not even halfway to what will be needed this season and a wide variety to go yet. Last night and this morning was spent tying more Skinny Nelsons. Winter trout season, for me, seems to be more about seizing opportunity when it presents itself rather than planning an outing well in advance. I’ll confess to not having my gear in battle-ready mode yet as it is typically during the bulk of the season. I’m not in grab ‘n go mode yet. 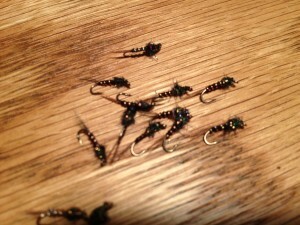 This entry was posted in fly fishing, fly tying on January 9, 2013 by Randy.